Since acquiring the dream rifle, the FN SCAR 17, the process of ‘kitting’ it has been a more arduous one than originally perceived. Actually just one aspect of kitting it. The optic. 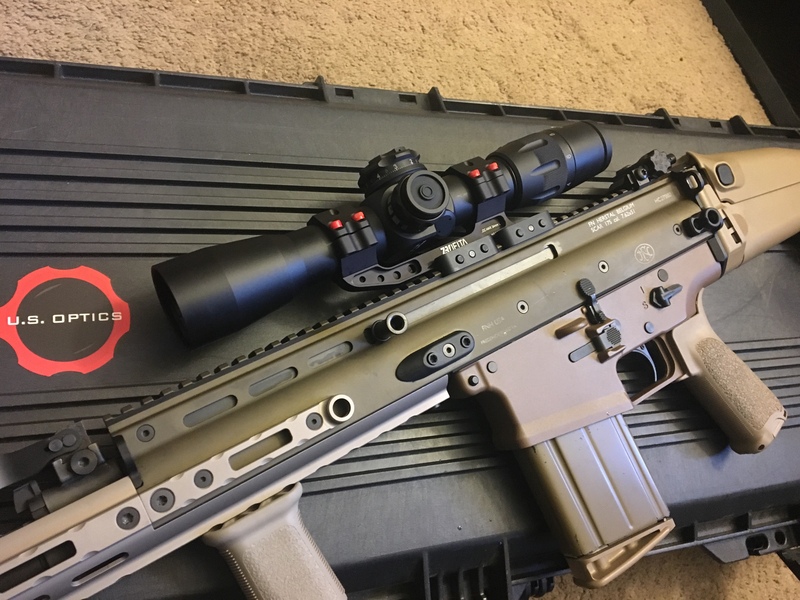 My SCAR saw a full spectrum of optical options in a variety of price points starting with a Burris 536 and going through variables, red dots, holographics, and an ACOG. The TA31 was a fantastic solution but it had two drawbacks that limited the ease with which I could take advantage of the SCAR’s capabilities. It was fixed at 4x power and it had a 5.56 ballistic reticle. I could, and did, work around those since the optic more than made up for those deficiencies but I knew there was a better option for the capabilities of a supremely well built 7.62 rifle. When I added a SCAR 16 to the lineup the theorizing on an optic for the 17 stopped and an urgent need emerged. I migrated the TA31 to the SCAR 16 where all its advantages still apply and its two limitations are eliminated by matching the calibrated chambering, barrel length, and rifling twist rate. This left the 17 barren. But it opened the opportunity to invest in finding a truly superior precision rifle scope that could operate in the roll of designated marksman. These 3x (3x variable range, not 3x magnification) optics allowed the accurized M16A1 conversions to perform a little further out than the M16A2 and A4 counterparts. These Mk 4’s have been made nearly obsolete (and discontinued) since that time. The optical enlightenment age we are currently experiencing with 6x, 7x, and 8x variable ranges, greater durability, glass clarity, and the acceptance of front focal plane have all contributed to this explosive evolution. My primary hangup with most of the otherwise excellent options on optics for a DMR is the role of the designated marksman. A DM is a more dynamic role than a sniper with much more emphasis on reactive precision engagement (which snipers can do too, don’t let me discount that) than on an observation asset and precision ranged weapon for a unit commander. The DM’s role really starts after getting shot at, where the sniper team is doing a ton of work and other tasks before, during, or regardless of taking contact. Why does that matter to the optic? I don’t want to have to touch my optic while rounds are flying in my direction, even if I need to adjust for a hold. This is one of the reasons I hold the ACOG is such high esteem. It’s a set and forget optic, zero it and it is set. 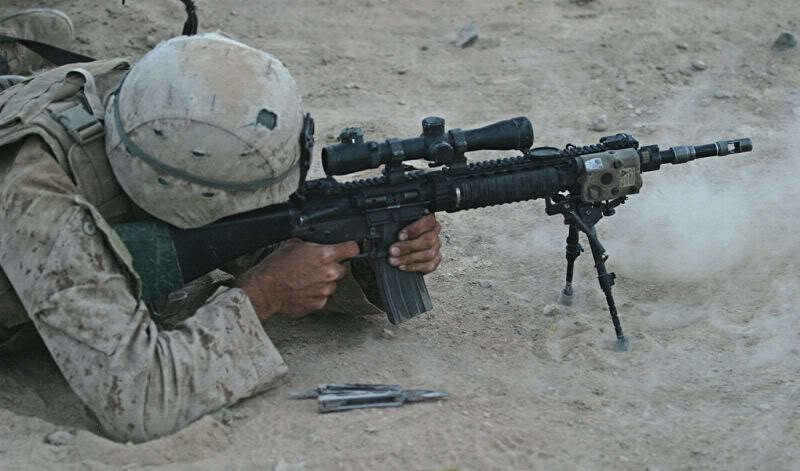 A sniper’s optic can, and should, have more variability to accomplish a wider range of mission requirements where the DM’s optic is to more precisely and effectively return fire on contact, initiate contact, or a quicker more detailed observation. The DM’s optic, in my opinion, needs to keep features closer to the ACOG than the precision sniper optic. While capabilities of the tools overlap the jobs are distinct. I needed an optic that fit this lane. U.S. 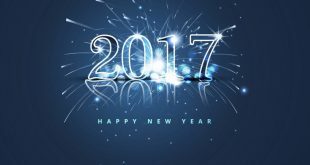 Optics has been a quiet professional in the field of optics for the better part of 3 decades. They hand built custom tailored optics to customers preferences with a multitude of features. It was a premium optics buffet. Recently however USO did a bit of market research and found that customers honed in on a few key feature sets over and over again. With this research in hand they set about designing the Bravo Series. 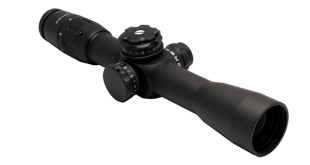 This second generation of USO scopes takes the multitude of overlapping options and puts them into 3 categories, medium range precision, long range precision, and extreme range precision, the 3 categories their customers kept honing in on. 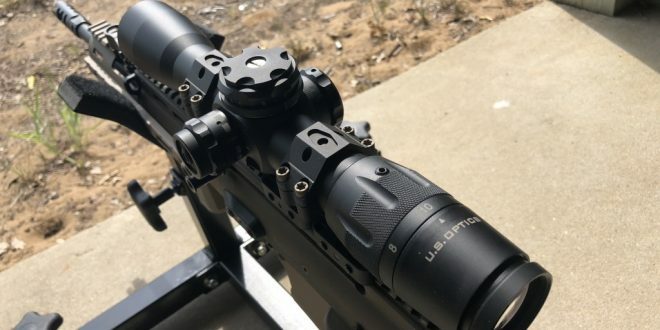 Looking at the B-10 specifically and contrasting it against the Leupold (which was a serious consideration, and if available certainly more economical) the USO has several key features in its favor. The B-10 has a magnification range of 1.8-10 using a far more versatile 5.3:1 (approximately) magnification prism than the 3:1 the MRT has. The lower 1.8 gives the B-10 a wider observation capability and quicker reflex capability than the 2.5 MRT and the top power at 10 versus 8 gives a more precision capable performance at distance. Focal plane has to do with the scope’s construction, where the reticle and magnification assemblies are and how they interact. A second focal plane scope has the assemblies arranged so that the reticle appears the same size to the shooter’s eye regardless of the zoom setting. A front focal plane scope has the reticle positioned so that its size stays consistent with the target along the whole magnification range. 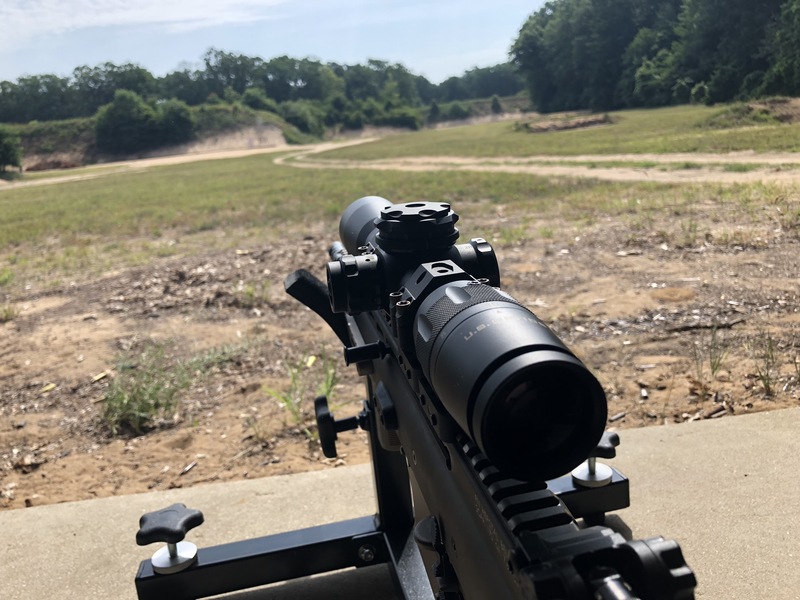 What the means is on a second focal plane scope any marking lines, regardless of it being a bullet drop compensation, milliradian (Mils), or minute of angle (MOA) are only accurate at one magnification level. Usually maximum magnification. With a front focal plane like the B-10 the reticle is always true to scale. 1 Mil or 1 MOA is always accurately represented and any adjustments you need to make off or observations do not require a conversion factor based on magnification. The 42mm objective lens on the B-10 allows for better collection and transmission, especially in lower light, than the 36mm. This is what gives the B-10 its final edge, although it is an add on option and more money. The H425 (seen above) is this squat little Christmas tree looking cross hair assembly is visualized mathematics. 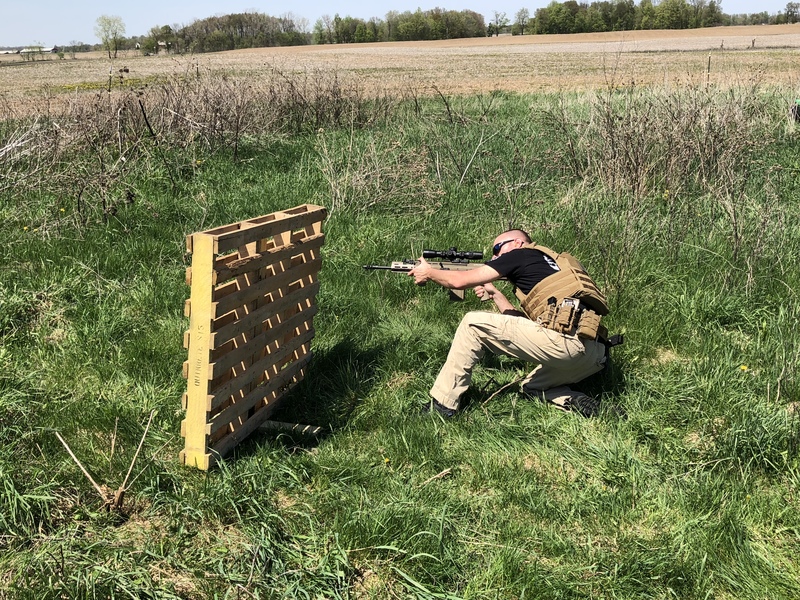 If the shooter knows the performance of their ammo, the ballistics, out of their particular rifle a quick run through a decent ballistics program will give you hold over and wind drift that can be copied into any form of small cheat sheet. It’s a bullet drop compensator on steroids tailorable for whatever round you happen to be shooting. I was using M80 ball ammo so I took the stock data for that at a 50 yard zero and ran the numbers on my ballistics app. With that zero I could make hits out to 800 yards theoretically. I confirmed this trajectory out to 300 yards by ringing a 6″ steel plate before running out of distance on the range, but the theory held as I didn’t need to adjust the optic. I was impressed. The holds were effortless to read and do once I knew what I was looking at, and I didn’t have to adjust a single click from zero. 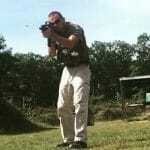 Testing at closer distances resulted in positive results as well. Dialing down the B-10 has a very forgiving eye box and getting on the gun and the scope was accomplished rapidly. At 1.8x the individual striations aren’t as discernible to my eyes but also at 1.8 I don’t want them to be. Instead I used the squat triangle just like the ACOG chevron to quickly settle the reticle and sent a round toward the target. The B-10 is useable low power with both eyes open in a manner similar to the Bindon Aiming Concept (BAC) from Trijicon. I am, so far, very pleased. The evaluation isn’t complete. However the U.S. Optics B-10 is showing it is here to stay, hitting every major bracket I wanted for the rifle optic on the SCAR 17. And of all the rifles to test the endurance of an optic, there’s none better. 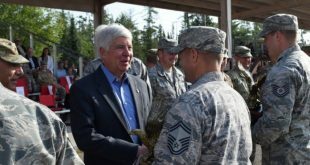 Am I concerned for the USO B-10? No, at this point the B-10 would be top of my immediate DM Optic recommendations, especially for those looking beyond the traditional LPVO 1-6x and 1-8x brackets. I’m still putting rounds under it though so a full review to follow.